PT Waskita Karya (Persero) Tbk - Waskita (IDX : WSKT) is a state-owned company in Indonesia which conduct business activity in construction industry. Its business include building, infrastructure investment, EPC, precast and realty. 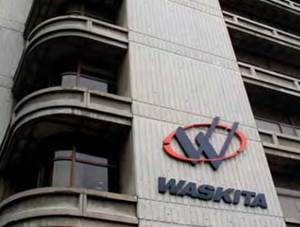 Waskita is based in Jakarta and is majority owned by the Government of Republic of Indonesia (GOI). As today, Waskita is 68% owned by the Government of Indonesia 32% remaining shares by investor and public shareholders. Waskita Karya was established on 1 January 1961 from a foreign company named "Volker Aanemings Maatschappij NV" which nationalized by GOI based on Government Regulation 62 of 1961. Based in Jakarta, Waskita runs its business through 30 domestic branches and 4 overseas branch offices (Uni Emirat Arab, Saudi Arabia, Malaysia and Timor Leste). The state-owned construction company also supported by 5 directly-owned subsidiaries ; PT Waskita Sangir Energy, PT Waskita Toll Road, PT Waskita Beton Precast, PT Waskita Karya Realty, and PT Waskita Karya Energi. The state-owned construction company also supported by 6 indirect-ownership subsidiaries; PT Cimanggis Cibitung Tollways, PT Pejagan Pemalang Toll Road, PT Waskita MNC Transjawa Toll Road, PT Trans Jabar Toll, PT Semesta Marga Raya, and PT Transjawa Paspro Jalan Tol. Waskita is running well in the first 6 months of 2016 (1H 2016, ended in 30 June 2016). According to PT Waskita Karya (Persero) Tbk Consolidated Financial Statements for the period 6 months ended in 30 June 2016 as cited by JobsCDC.com, Waskita booked total revenue of Rp 8,084.57 billion in 1H 2016, up 102.90% from Rp 3,984.32 billion in 1H 2015. Total net income for the year increased by 239.53% year-on-year to Rp 582.23 billion from Rp 171.48 billion in 1H 2015. Minimum 5 years of experience in same position in road and toll road projects. Willing to be placed in all over Indonesia (Java and Sumatera). Minimum 3 years of experience in same position in high rise building or infrastructure projects. Expertise with measuring tools (Theodolit, waterpass and total solution) (practitioner). Able to read image (practitioner). Operating knowledge of Microsoft Office (practitioner). Minimum 5 years of experience in same position in high rise building or infrastructure projects. Material and equipments specification (practitioner). JobsCDC.com now available on android device. Download now on Google Play here. Please be aware of recruitment fraud. The entire stage of this selection process is free of charge. PT Waskita Karya (Persero) Tbk - Recruitment D3, S1 Staff Divisi II Waskita October 2016 will never ask for fees or upfront payments for any purposes during the recruitment process such as transportation and accommodation.